Regular checkups and cleanings are the best way to prevent large dental issues from arising. Taking regular x-rays allows the doctor to diagnose decay and issues in the surrounding bone that cannot be detected by looking with eyes alone. If there are areas of concern, treating them while they are small allows for the most conservative treatment. Patients also undergo a comprehensive oral cancer screening as part of the exam. Seeing the hygienist regularly (twice a year for most patients) for cleanings helps ensures that gums and tissues stay at their optimum health. We love kids and welcome all ages in at Davidson Family Dental. Even if it’s the first visit, we work hard to make it as easy as possible for children and their parents. Kids are introduced to enjoyable check-ups and healthy habits each time they come in. Our friendly and knowledgeable staff makes dental visits fun for everyone. 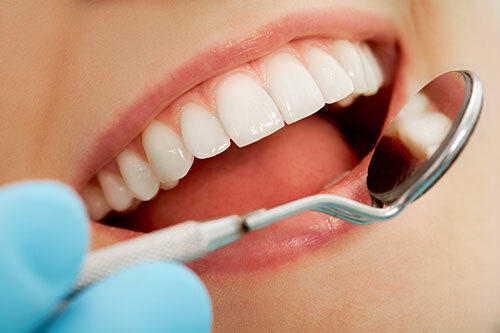 For teeth that have never had decay or a filling, a sealant is a protective layer of thin resin material that covers the biting surface of permanent molars. The material is tightly bonded to the tooth, preventing plaque and bacteria for getting into the deep grooves and causing decay. Although sealants can be placed at any time, the earlier they are placed on young molars (around age six and twelve years old), the better. Sealants are easy to place and a simple procedure for the patient. No numbing is needed, and the patient can return to normal eating and function immediately. Properly placed sealants can last well into adulthood and provide ongoing benefits for the teeth. When a tooth has decay or “a cavity” it needs to have a filling placed. The dentist will remove all the decay from the tooth to create a clean margin. Filling material is then placed into the space and the tooth is built back up to look like the original tooth. Different materials including “tooth colored” fillings are used. 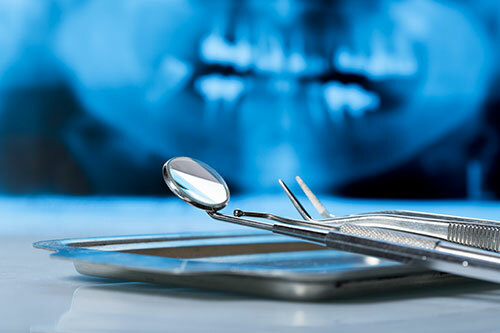 Depending on the conditions of the tooth, the doctor will discuss what options are best for each individual situation. A crown is a full coverage restoration designed to restore a compromised tooth back to ideal strength, shape, and appearance. Crowns are indicated for a variety of reasons including large decay and fillings, cracks in the teeth, teeth that have been treated with a root canal, or sometimes to improve the aesthetics of one or more teeth. Crowns are made of a variety of materials and the doctor will discuss the advantages of different crown types depending on the individual case. When getting a crown, patients can expect two appointments. At the first appointment, the tooth is built up with a sound substructure and prepared for the crown. After an impression is taken, a temporary is made and final crown is seated 1-2 weeks later. Root canals are a procedure where the nerve and tissue are taken out of the pulp chamber in the center of the tooth. Root canals are indicated whenever a pulp or nerve is no longer functioning properly. The nerve tissue can become inflamed or infected when cavities get too deep or a nerve is affected by trauma. This can result in pain or possible swelling if the nerve tissue is not removed. The root canal procedure cleans out all the affected nerve tissue and the tooth is disinfected with antibacterial solution. The tooth canal is then sealed back up with a filling material and the permanent restoration can be placed. Gums and surrounding bone health is an important part of having an overall healthy mouth. There are a variety of conditions that can compromise this including gum recession, bone loss, periodontal pockets, mobility, and tooth loss. The doctor can discuss a variety of surgical (gum grafts) and non-surgical options available for the treatment of these and other periodontal conditions. For patients diagnosed with periodontal disease, it is important to undergo frequent maintenance and recalls. The doctor and hygienist may recommend “deep cleanings” and 3-4 month cleaning recalls to help control periodontal infection and maintain the teeth. Our number one priority is a healthy mouth, but we understand that sometimes patients just want things to look a little better. There are many options available to improve the aesthetics of teeth. The doctor can discuss things such as veneers (a thin bonded porcelain shell that goes over the tooth) or composite bonding. We are happy to schedule a consult or exam to discuss comprehensive aesthetic t treatment options. Implants are used to replace one or more missing teeth. The implant is a titanium screw that is permanently fixed into the bone to replace the missing tooth. A variety of permanent restorations can be fixed to an implant including a crown to replace a single missing tooth, a partial denture, or a complete denture. Some patients have very complex treatment needs. Our doctors carefully consider the patient’s personal dental needs based on current dental condition, health concerns, past dental history, and future expectations. We work to develop treatment options that address the patient’s chief concerns as well as being fully comprehensive. We welcome all questions and want to help each patient feel confident in the treatment they are undergoing. Sometimes call “laughing gas”, nitrous oxide is a safe, easy to use gas that helps patients relax during dental treatment. While it doesn’t always cause laughter, most patients report decreased feeling of nervousness and an increase in relaxation. Nitrous is extremely safe and used regularly for both adults and children of all ages. No special preparation is needed before appointments and the effects wear off immediately so patients can return to normal function right after leaving the office. For patients with higher levels of dental anxiety or fear, our office offers oral conscious sedation. There are many advantages to oral sedation including a high level of effectiveness, high levels of safety and overall low cost. When patients arrive at our office for treatment, they are given a dose of an oral sedative to help them relax. 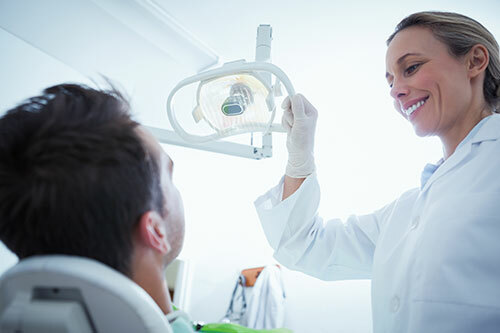 Coupled with the nitrous oxide, patients can undergo their dental treatment with little to no anxiety and minimal recollection of the entire treatment. Patients are closely monitored and the entire process is a very safe way to undergo sedation during your dental treatment. We want all people to be able to complete their necessary treatment and oral sedation is a great option to help make that possible even for the most fearful patient. Contact Davidson Family Dental with any questions regarding our sedation options.